Maersk has set up this collection to support the Red Cross/Red Crescent actions in Japan. It is made available for employees of the A.P. 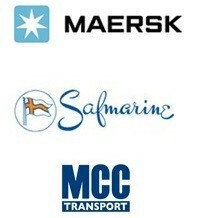 Moller - Maersk Group globally and when you contribute Maersk matches the amount. Your donation will support the Japanese Red Cross disaster relief efforts to help those affected by the earthquake and tsunami. Funds will be utilised for the on-going provision of immediate relief and for eventual recovery support to the affected population. The Red Cross/Red Crescent is already taking action by distributing relief items, ensuring displaced people are offered hot meals, clearing debris and providing medical transportation. More than 80 medical teams are in the area and more than 2,000 trained nurses are giving psychosocial support. Altogether, the Japanese Red Cross has more than 2 million registered volunteers helping the victims. When you have made your donation, you will receive a receipt via e-mail. The joint collection will end at the close of business on 15th April 2011. Notice: The Danish Red Cross is part of the International Red Cross/Red Crescent movement and they facilitate the Maersk collection to Japan.